The S&P 500 has jumped to a three-week high, led by Apple, Amazon, Facebook and industrial shares on bets that the United States and China would strike a deal to end their trade war. 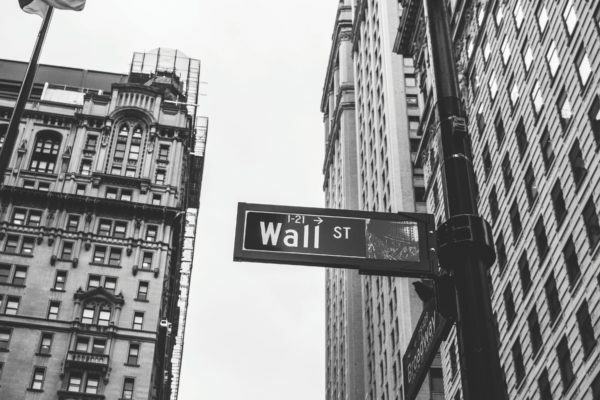 The three-day rally that kicked off on Friday following robust US jobs data and dovish comments on interest rates by Federal Reserve chief Jerome Powell has lifted the S&P 500 by over 9 per cent from 20-month lows touched around Christmas. The S&P 500 has gained in seven of the past nine sessions. The US and China will extend trade talks in Beijing for an unscheduled third day, a member of the US delegation said, as the world’s two largest economies looked to resolve their bitter trade dispute. So far, officials from both sides have sounded optimistic, with US President Donald Trump saying talks were going well. “You’re seeing some negotiations happen and the market is starting to think that perhaps we’ll start to see a framework evolve,” said Anik Sen, global head of equities at PineBridge Investments. The trade-sensitive S&P industrials sector rose 1.4 per cent. Boeing shares jumped 3.8 per cent, contributing the most to the Dow’s rise, after the company said it had delivered a record 806 aircraft in 2018. Apple rose 1.9 per cent, regaining some ground after the company last week warned of weaker-than-expected demand for its iPhones. But tech sector gains were limited by a drop in chip stocks after Samsung blamed an estimated 29 per cent drop in quarterly profit on weak chip demand. The Philadelphia Semiconductor index slid 0.49 per cent. Adding to the woes, Goldman Sachs forecast a tough year for chipmakers, particularly in the first half. Other investors remained upbeat about upcoming US quarterly results. “It’s the new year and investors are really stepping back and taking a look at the fundamentals, and realising it’s not as bad a story as maybe we thought toward the end of the year,” said Jeff Kravetz, a regional investment strategist at US Bank Wealth Management. The communication services index climbed 1.6 per cent, with Facebook adding 3.25 per cent after JPMorgan said the social media company was among its favourite internet picks for 2019. Amazon.com rose 1.66 per cent, increasing its market capitalisation to $US810 billion and cementing its position as the most valuable US company. The Dow Jones Industrial Average jumped 1.09 per cent to end at 23,787.45 points, while the S&P 500 gained 0.97 per cent to 2,574.41. The Nasdaq Composite added 1.08 per cent to 6,897.00. Financials were the only S&P index not to gain, ending unchanged as the US Treasury yield curve flattened. PG&E Corp shares continued to decline, falling 7.34 per cent after S&P Global Ratings stripped the California power utility of its investment-grade credit rating. Volume on US exchanges was 8.0 billion shares, compared to the 9.0 billion average over the last 20 trading days.